A Wrinkle In Time is officially coming to a home theater near you, and we’ve got the details on the bonus features and content that’ll be available on the digital and physical media release. Directed by Emmy winner Ava DuVernay, the long-awaited film was lovingly adapted by Oscar winner Jennifer Lee and Jeff Stockwell from the generation-favorite novel by Madeleine L’Engle. 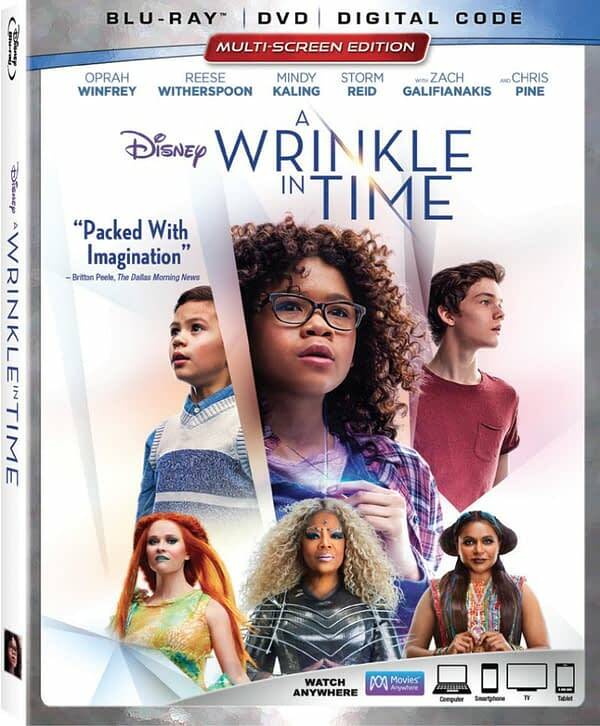 Centering on a fantastical science fiction journey to find her missing physicist father (Chris Pine), young Meg Murry (Storm Reid) and her younger brother younger brother Charles Wallace (Deric McCabe) travel with neighbor Calvin (Levi Miller) across time and space. Along the way, they meet the three Mrs. — Mrs. Which (Oprah Winfrey), Mrs. Whatsit (Reese Witherspoon) and Mrs. Who (Mindy Kaling) — whose lessons and advice help Meg on her ultimate adventure. While A Wrinkle in Time did marginally well in theaters, it did not do as well as the other Disney release in February 2018 (Black Panther). That said, we’re really looking forward to the home release. A Wrinkle in Time releases on May 29th on Digital HD, 4K Ultra HD and Movies Anywhere. The Blu-ray, 4K Ultra HD, DVD, and On-Demand releases are set for June 5th.